On October 24 at the Canadian Cardiovascular Congress in Montreal, Health Minister Jane Philpott unveiled the federal government’s vision for a healthier Canada. This includes measures to increase healthy living and improve mental health but has, at its centre, a Healthy Eating Strategy that seeks to support Canadians in choosing healthy diets. The Healthy Eating Strategy as it stands includes six actions, five of which were included in the Minister’s mandate letter from the Prime Minister. Many of these actions were also suggested in the Food and Nutrition Fact Sheet released in January by Food Secure Canada and Dr. Norman Campbell, then HSF/CIHR Chair of Hypertension Prevention and Control. The first action is a renewal of Canada’s Food Guide, last updated in 2007. This was not included in Minister Philpott’s mandate letter but was recommended in the Senate’s Report on Obesity and has been an issue of vigorous debate. A consultation process has been launched, providing an exciting opportunity for the food movement to build coalition and make the case for broadening the framing of dietary guidance to include the missing ingredient - sustainability. Since our health is intimately linked to the environment, we need to improve the sustainability of food systems and redefine healthy food as going beyond its nutritional qualities alone. Healthy diets are not only about individual food choices, but also derive from socially and environmentally sustainable food systems. Sustainable diet efforts are gaining momentum internationally as Sweden, Brazil, Qatar and Germany have integrated sustainability principles into their national dietary guidelines. 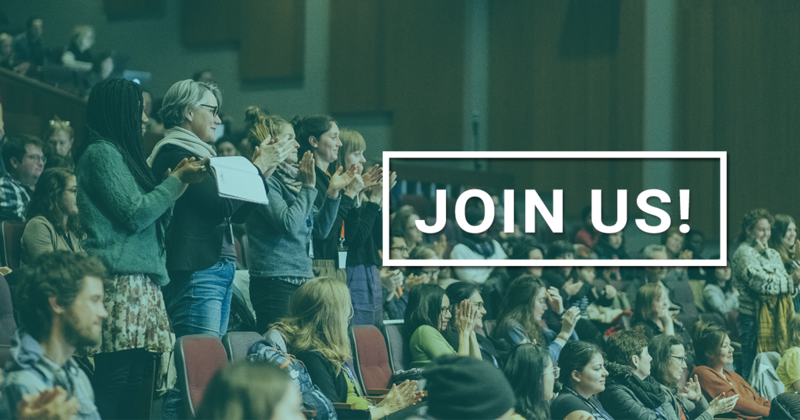 We plan to bring a workshop session, “Sustainable Diets and Canada’s Food Guide”, from the recent FSC Assembly, Resetting the Table, to a webinar format. Stay tuned for details. The second action is to strengthen nutrition labelling, notably by introducing front-of-package (FOP) labelling that would allow consumers to quickly assess the levels of sugar, sodium and saturated fat in a product. Health Canada will consider two main approaches: nutrient-specific FOP symbols (such as the traffic light system used in the UK) and a scoring system for foods (like the Guiding Stars system used by some Canadian corporations). This would not replace the Nutrition Facts table but would be intended to make information more visible. While there have been significant reductions in trans fats, Canadians still consume more than is recommended by the World Health Organization. Health Canada requested information on trans fat use from industry in 2016 and will start a consultation process in the next few weeks. Health Canada will also implement restrictions on the marketing of unhealthy foods and beverages to children, similar to those in place in Quebec. Minister Philpott is reviewing Senator Nancy Greene Raine’s Private Member’s Bill S-228. NDP House Leader Peter Julian has also put forward Private Member’s Bill C-313 that would enact a national strategy on advertising to children. The Stop Marketing to Kids Coalition, of which Food Secure Canada is a member, has been active on this issue and has met with Health Canada to ensure that these restrictions will be as effective as possible. Food Secure Canada and the Coalition for Healthy School Food have argued that it is vital to focus on healthier food for children. The Coalition for Healthy School Food called on the federal government to invest in a national, universal healthy school food program that would see all Canadian children fed healthy food at schools daily. Nutrition North Canada (NNC), the program that purportedly subsidises healthy food for Northerners, was also included in the Healthy Eating Strategy, though little information has been provided. To learn more about Food Secure Canada’s suggestions for revamping NNC, see our Eat Think Vote campaign backgrounder and Paying for Nutrition: a Report on Food Costing in the North. 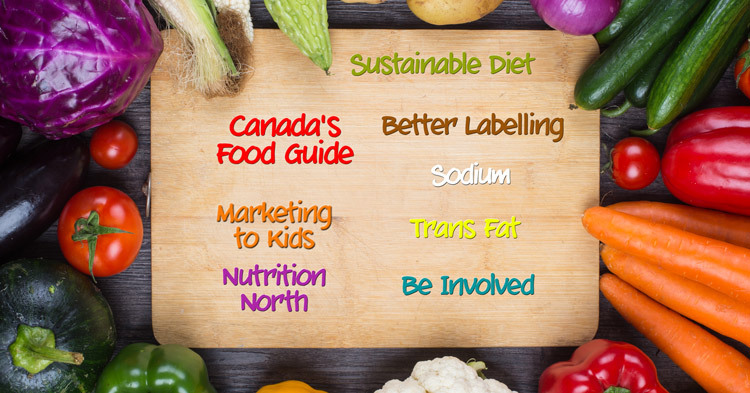 Health Canada will be consulting Canadians on nutrition labelling, sodium reduction, trans fat elimination, and restricting marketing to kids in the coming weeks. Food Secure Canada will announce to its members any opportunity to feed into these processes. Clearly, these deliberations must flow into Canada’s new national food policy, which was a key theme of several sessions at our 9th Assembly. Several food-related consultations are currently open. You can find a timeline for the consultation process for Canada’s Food Guide and submit your comments for the Phase 1- Public Consultation (Oct 24 – Dec 8, 2016) here. In May 2016, Indigenous and Northern Affairs Canada launched an engagement process on Nutrition North Canada. Find out more here. Agriculture and Agri-Food Canada is also currently consulting about the next Agricultural policy framework. Details are here. We expect formal consultations on Canada’s new National Food Policy to begin in the new year. With all of these consultations underway, civil society organizations need to be well-organized with our input and, as far as possible, in sync with each other on our recommendations. Food Secure Canada will continue to assist with that process, helping to ensure the views of our members are heard loud and clear.